Joe has been a valuable member of the NIH Research team for over 18 years. Joe’s vast experience has propelled the success on campaigns related to finance, revenue cycle, supply chain management, Radiology and imaging, learning management solutions, clinical review, surgical services, physician practice management, and decision support in addition to HIPPA, compliance and regulation. 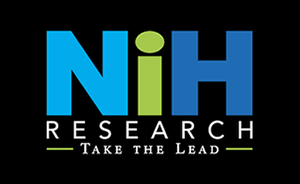 Prior to joining NIHR, Joe held the position of Market Research Consultant Product development for Viatical division of CNA in Chicago. Joe also headed up the product launch for the Life Division with AON's Combined Insurance Company of America. Joe has helped administrator and development positions within insurance, healthcare and financial services organizations throughout his professional career with companies such as The Jacobson Group, Proctor and Gamble and Ethicon - Johnson and Johnson. Joe attended the University of Illinois and studied Journalism, Advertising and Marketing.